Speed camera ticketing is now in effect along Indian Head Highway at Old Fort Road. The decision comes as traffic fatalities along the busy stretch in Prince George's County — known as one of the deadliest corridors in the region — continue to occur. FORT WASHINGTON, Md. 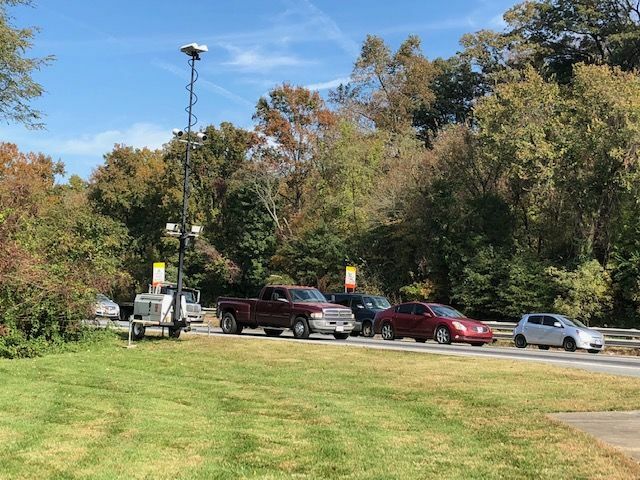 — Speed camera ticketing is now in effect along Indian Head Highway at the intersection of Old Fort Road in Prince George’s County. The decision comes as traffic fatalities along the busy stretch — known as one of the deadliest corridors in the region — continue to occur. Since 2007, there have been at least 60 deaths and 134 crashes that resulted in severe injuries. Rick Wooten survived one such crash. He stood at the intersection of Maryland Route 210 and Old Fort Road staring up at the newly installed speed camera, one he says he wishes was in place on Aug. 20, 2016 — the day he and his wife drove home from a trip to New York. “The woman that ran into the side of us was knocked into the side of us by a man who was doing at least 100 miles per hour,” said Wooten. His wife, Karen, was given a 40 percent chance to live. “Here I am with my head, with over 255 stitches,” said Wooten. Doctors told him he shouldn’t have survived. “In this particular community and along this particular road, there are intense reasons of merit that make this day notable,” said the Rev. Robert Screen, a chaplain at the Fort Washington Medical Center. Screen has been among the community leaders pushing for the newly installed speed camera. “Hopefully it will invoke choices to be made toward civility and safety rather than recklessness and irresponsibility,” said Screen. Community leaders also acknowledged it will take more cameras and more police enforcement. Wooten says drivers must do more to help save lives.